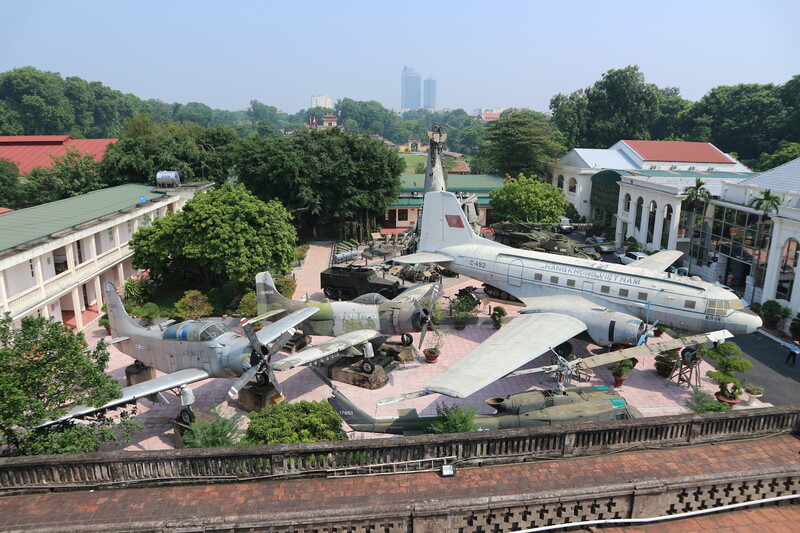 I’m a bit of a military history nerd, so when husband suggested visiting the Vietnam Military History Museum, I was stoked. Vietnam’s identity and history have been so strongly defined by war, and that’s still very obvious. Listening to tour guides speaking to their wards as we made our way around the country, the constant theme was always strong military pride, and the museum exemplifies this national feeling perfectly. The grounds are piled with discarded planes and bomb shells, the buildings full of photos and more pieces of history. It’s a sombre atmosphere, and you can’t help feeling enormous respect for this small but courageous nation of underdogs. While you could never understand what they have been through, you start to understand just why they’re so fiercely proud and patriotic. Those swords! This place is just my kind of thing…will have to add it to my to-visit list when I make it to Hanoi.